….life still seems to be a bit silly – but I am back! I can barely believe it has been one whole month since my last post (Did anyone miss me?) I have been sewing just as madly as ever but did escape for a lovely weekend away diving in the wonderful Farne Islands which are just off the Northumbrian coast. 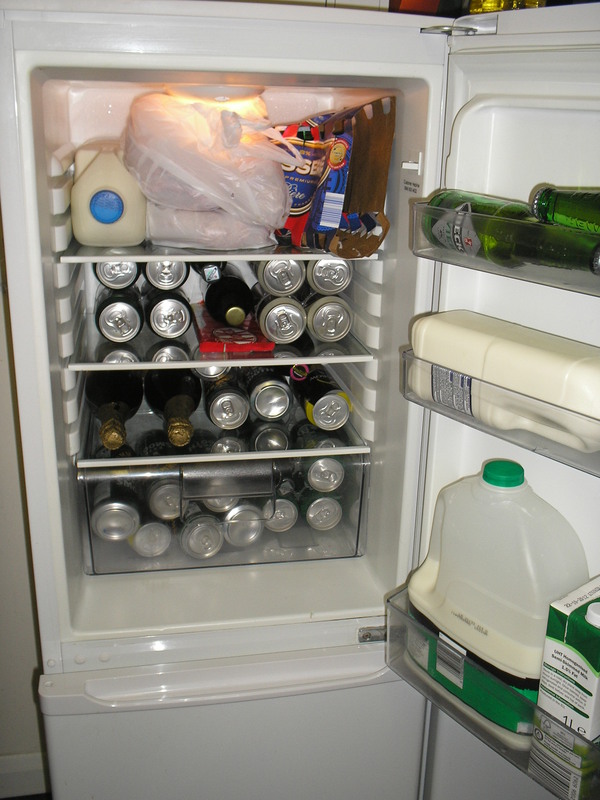 This was a very sociable weekend organised by the North East region of the Sub Aqua Association and was probably best summed up by the fridge contents shown below. We had some lovely dives, and on some dives were joined by seals who seem to treat divers like toys to be played with – lots of fun! The organiser has promised to repeat this next year so I will be there. I also take the opportunity to visit my family in Northumberland while I am there as I definitely don’t see them enough. Milk with your booze anyone? My workload seems to still be slightly out of control but all of the ‘big occasion’ sewing has been done and sent on its way.I still have quite a lot of day wear and suchlike to be dealt with but I feel I can return to my ’30 minutes for me’ routine which has worked so well in the past. 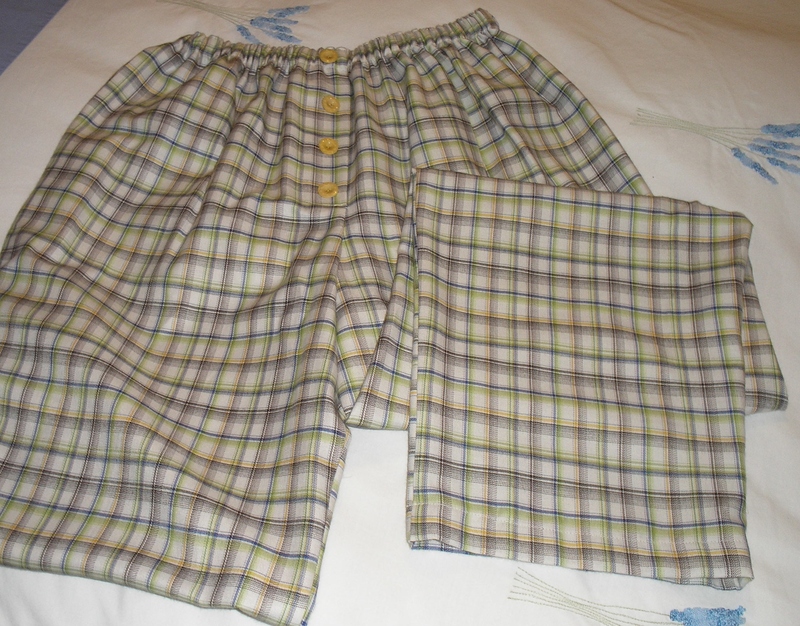 To get me going I have made another two pairs of PJ trousers for my daughter – she liked the last pair I made which had pockets in and wanted more. I did make some a little while ago and posted them to her – sadly the British postal system ate them up and they haven’t been seen since I posted them. Not good. This pair (of pairs) will be held until I see her next. They are made from soft jersey bought from the Birmingham Rag Market for very little money – I think the 3 metres cost me about £5 in all – but the fabric is nice and soft and very jolly. The buttons came from my stash (using some from a donated button tin from a friend – thanks H!) and the elastic was also a Rag Market bargain – bought as a roll for next to nothing some time ago and still going strong. This was a very easy project which I know will be much appreciated, and which I thoroughly enjoyed doing. I am not sure what I want to make for myself at the moment. I am well behind on the SAM project so that may get attention. The summer has not been fabulous here in the UK and I have made very little for myself this year. I feel slightly wrong to be thinking about clothes to go into Autumn (Fall) yet but as I spent this morning buying fabrics for ‘The Material Lady’ for the autumn/winter it kind of feels like time. Sad. I will spend my 30 minutes tomorrow stash diving and see if anything screams to be made up. Watch this space. I have (as you may know) just got back from a couple of days visiting my DD. 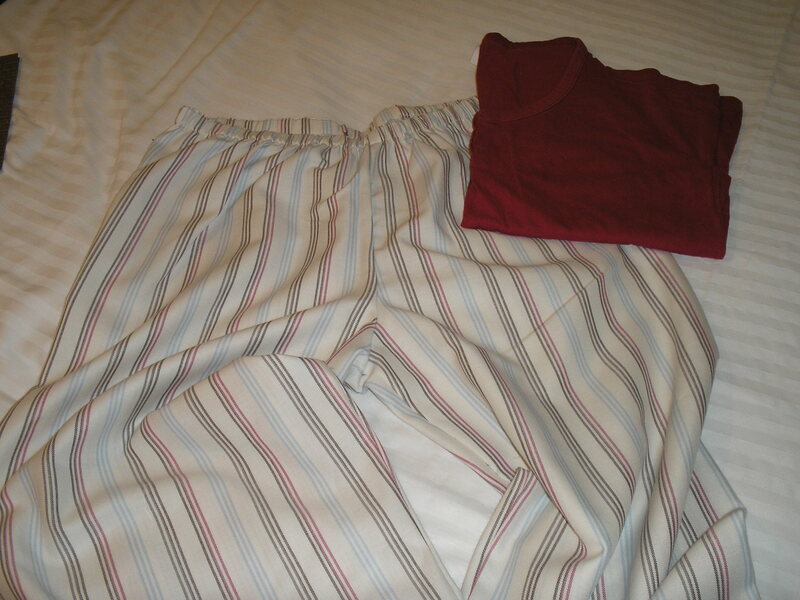 It wasn’t until I looked at the pj’s I was packing to take with me that I realised just how shabby the trousers were looking – I think I must wriggle a lot in bed or something. No time to do anything about it, so I just had to hope there were no fire alarms or such that would require a night-time evacuation (although the management can tell a funny tale about a night fire alarm evacuation at a corporate event he was at….). I used some really nice poly/cotton stripe from my Material Lady stock and these were cut out, sewn (french seams as I couldn’t be bothered to change the thread in my overlocker – lazy cat! ), and pressed ready to wear within a ridiculously short time. 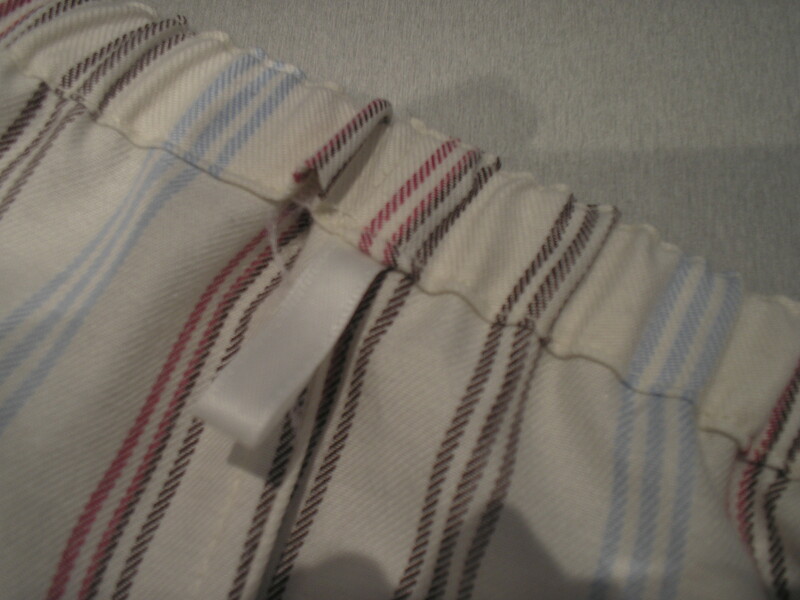 The only detail on this garment was a tag in the centre back (so I can find which way to wear them easily) and a line of edgestitching around the top of the elastic casing. I know this isn’t done on RTW pj’s (or not the ones I checked) but it is something I do around all elastic casings as I think it just looks ‘crisper’. I was pretty pleased with these but remembered a fabulous vintage pattern that Rhonda Buss was making for a trip. They were really glamorous PJ’s (for wear in a boudoir not bedroom) and I thought they were just fabulous. She had challenged readers to identify where they may be worn for the first time – and offered the right person a copy of the pattern. I commented – but didn’t expect to hear any more. Just to confirm what an absolute darling she is Rhonda is going to make a copy of the pattern for each of the five (yes, FIVE copies!) of us who commented. Thank you so much Rhonda! The next PJ’s to grace this screen could well be very glamorous! My dear friends came back from Spain last night – and brought me Patrones issue 311. 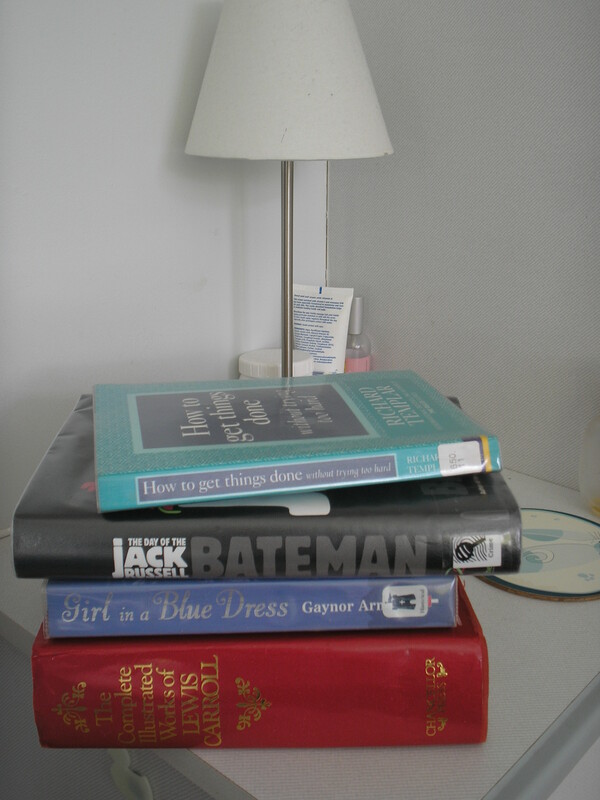 I have had a little look through and earmarked a handful of things I really need. NOW. Despite the fact it is still too cold I really want these things. I loved this very simple shirtdress – perfect to avoid the ‘jeans and t-shirt’ trap I seem to be stuck in. 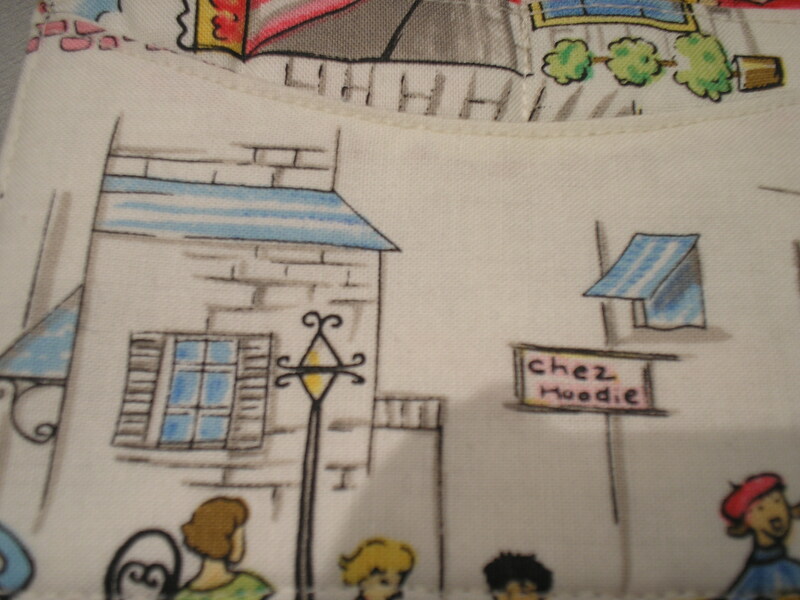 Although it is simple I loved the detail of putting a placket on a short sleeve. Pretty. I have the perfect fabric for this jacket (actually two fabrics – one cream and one minty green!) and it looks as though it would dress up and down very well. 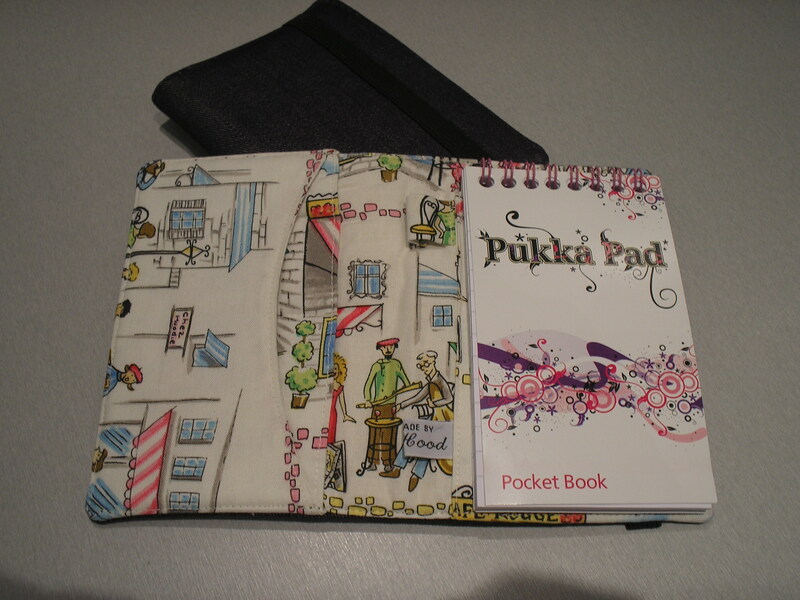 It has lots of lovely detail, and there is a tuck in the centre back with a tab closure. Love it. I am going on holiday to Portugal in May and I think this will have to be in my suitcase. The dress is pretty – but it’s the jacket that I really want. I love this ruffle fronted blouse – I have a picture of a similar design by Ralph Lauren but that always looked a bit too ‘tidy’. The slightly messy finish on the ruffles of this appealed to me more. It isn’t terribly clear from the photograph but there is an interesting front yoke and darts detail that makes this much more than ‘just a shirt’. Lovely – but not next. Because this is. I have some gorgeous cotton sateen with a bit of stretch in stock and have been waiting for the opportunity to make it into Vogue 8747. I think that even with my ‘frontage’ this blouse could look really good. 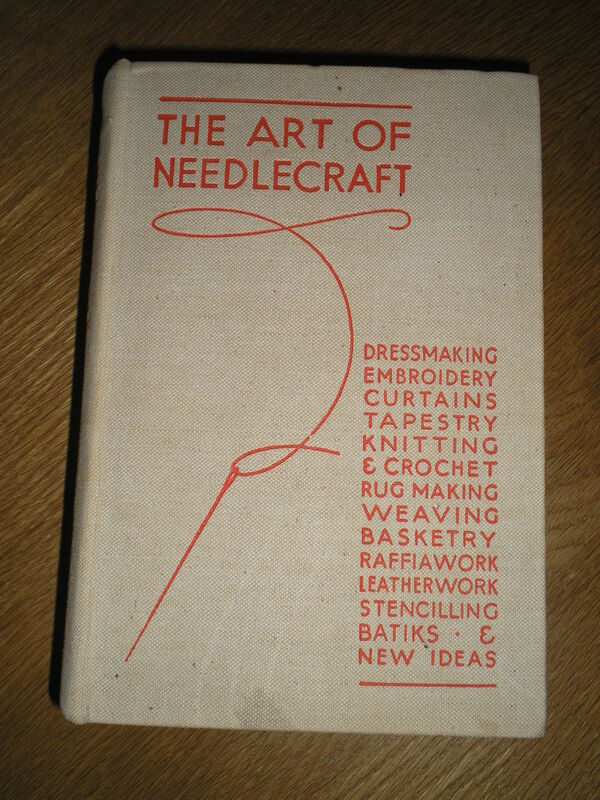 I intend to make it without using the overlocker – it is a fabulous machine but I fear it is making me lazy! Time to dust off the french seams. I should start work on this in the next few days but probably wont have anything to show as I am visiting my daughter in London this weekend. I am planning a trip to the V&A Museum while I am there to see Annie Lennox’ stage costumes. Hopefully I will have a report early next week. Yet again I am the lucky recipient of not one but 2 Patrones magazines! 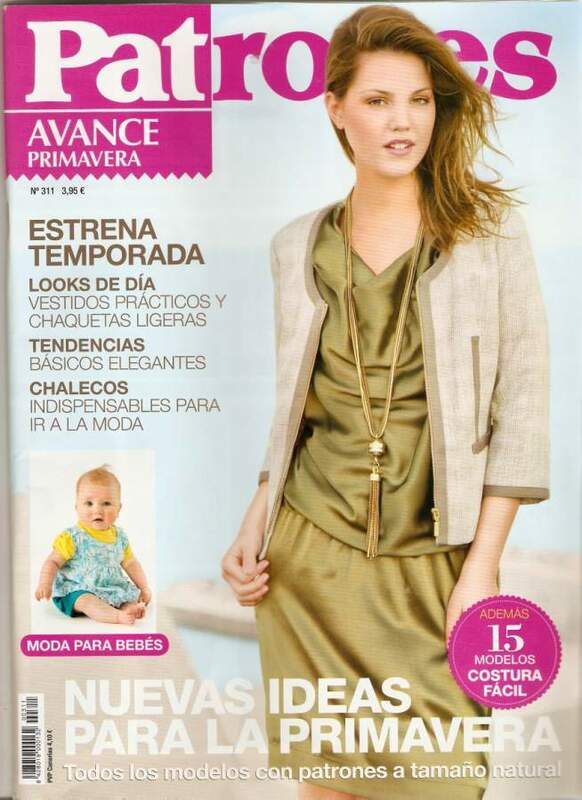 My dear friends came back from Spain with these issues last week and I have spent hours poring over them. I absolutely love the neck detail on the cover picture of issue 308, and the grey dress on page 11 (2nd down, first column on the middle picture) is simple but lovely. I am also looking at several pairs of trousers to try a pair in a wool tweed to go with my next planned jacket – but more if that later! 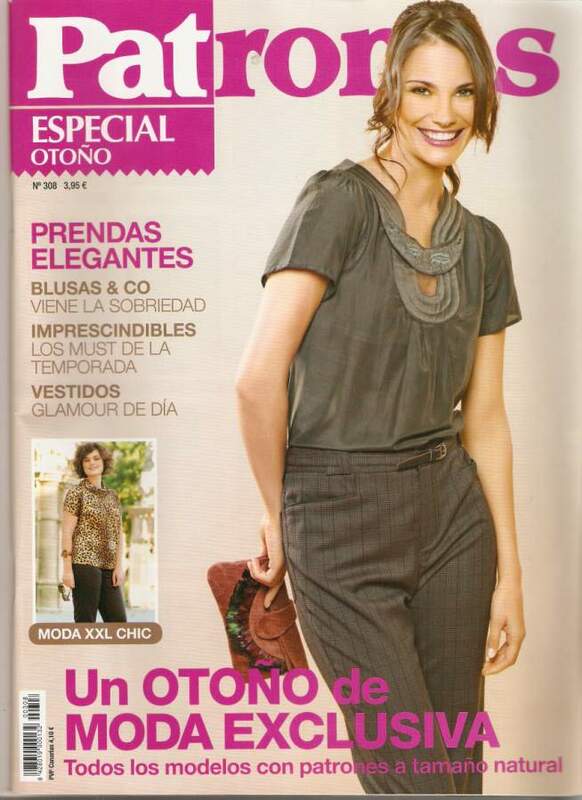 The other issue was a ‘Patrones Extra Tallas Grandes’ Issue 8. Not quite so much in this issue that I really liked until I got towards the back. Pages 42-45 looked appealing – but also strangely familiar. 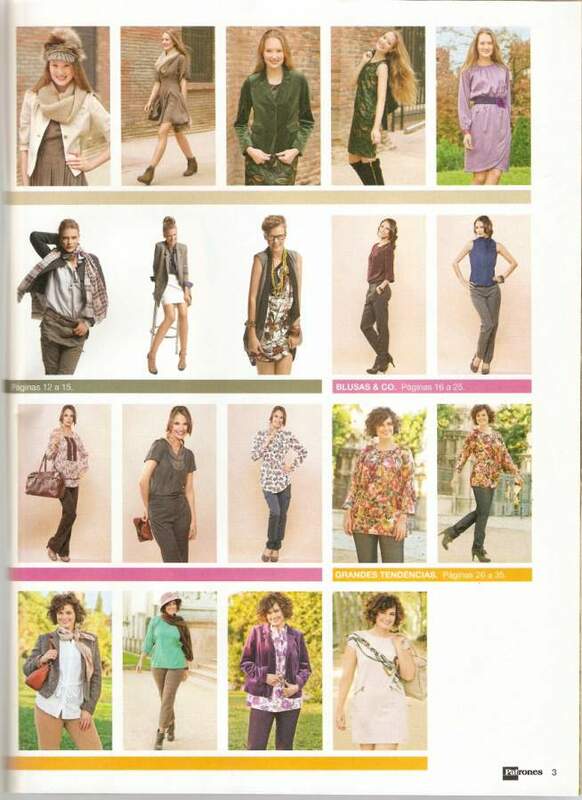 I trawled my past issues and, sure enough, found these designs in Issue 274 (Especial Fiesta). Same model, same garments – actually same photographs. Did they think we wouldn’t notice? I love Patrones magazine but this does rather cheat its buyers don’t you think? 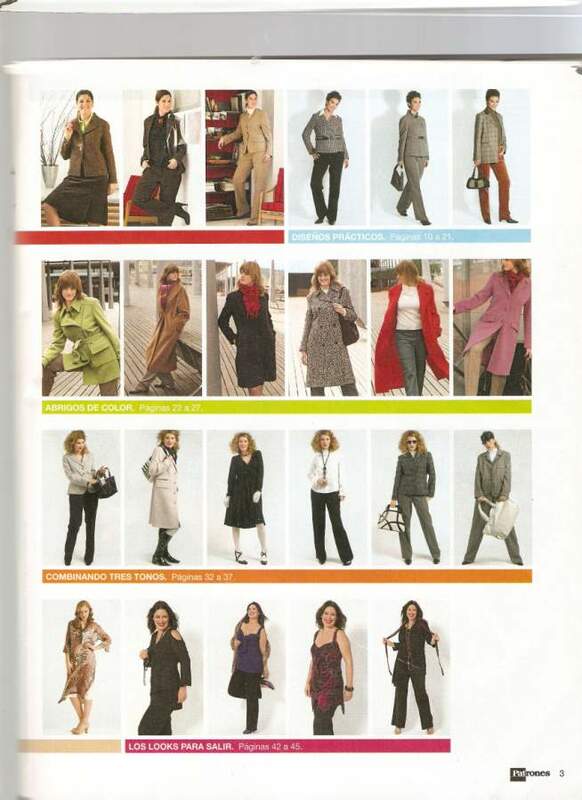 I still like the first and last tops in the pictures and may make them at some point – but I still have the patterns from Issue 274. Enough of that – I have finally got to the end of my computer course and passed the exam (Hurrah! I hear you say – perhaps the quality of the blog will improve! – don’t hold your breath) so I have a bit more time to sew for myself. 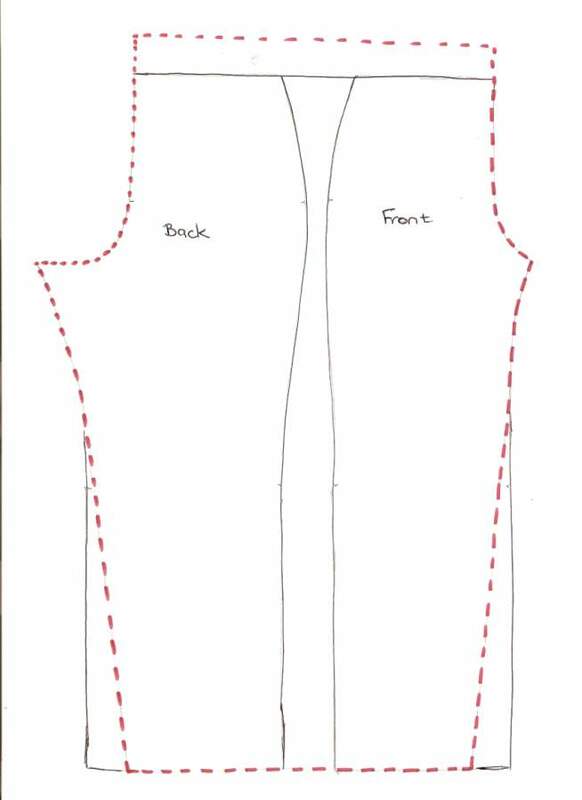 I have long planned to make McCalls 5860 – which I first saw on Gigi Sews site. Gigi made a lovely version of this jacket and I lusted quietly after it – silly really since the pattern was available and I could make my own (not quite as good as Gigi’s) jacket. 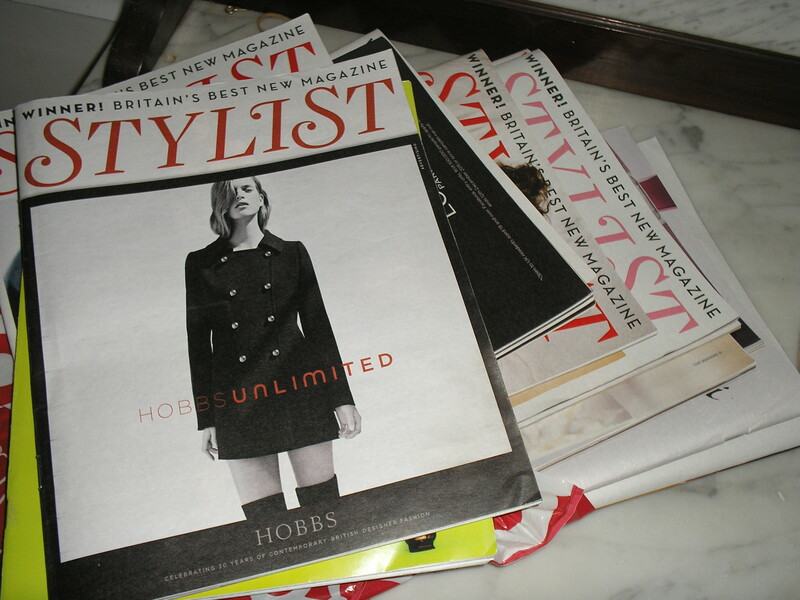 I thought this would be a very useful ‘anytime’ jacket – the sort you can throw on to go shopping or dress up to go out. The fabric I am intending to use is the stretch velvet I have in the winter collection. Now all I have to do is decide if I want blue or almond……. Friday was a day out at Pamelas house – some of you will know Pamela as the previous Material Lady. 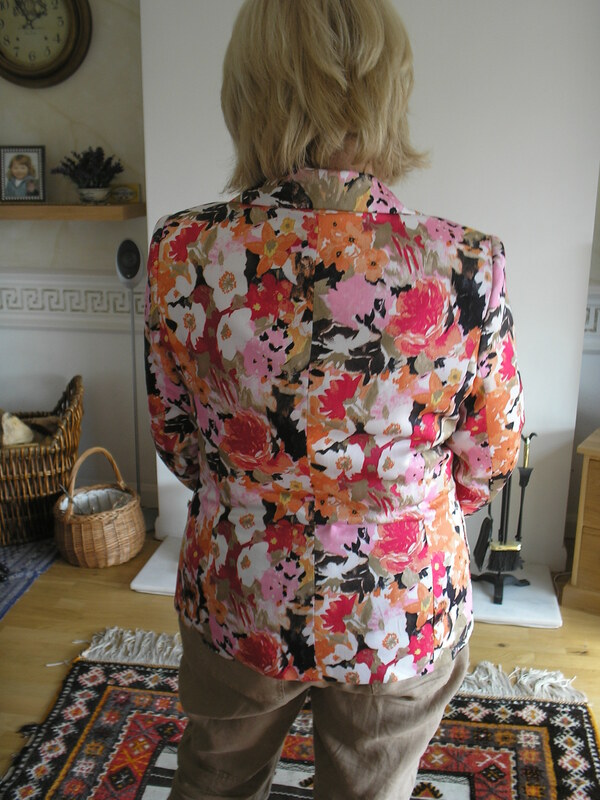 She was kind enough to come and guide me when I made my first purchases for this summers collection so it was a real pleasure to see her self drafted jacket from the floral cotton sateen (503) which I’m sure you will agree looks great. 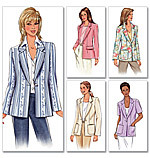 The jacket is similar to Vogue 8692 (which has a higher V front and shorter sleeves) or Butterick 4138 which is a more classic style. 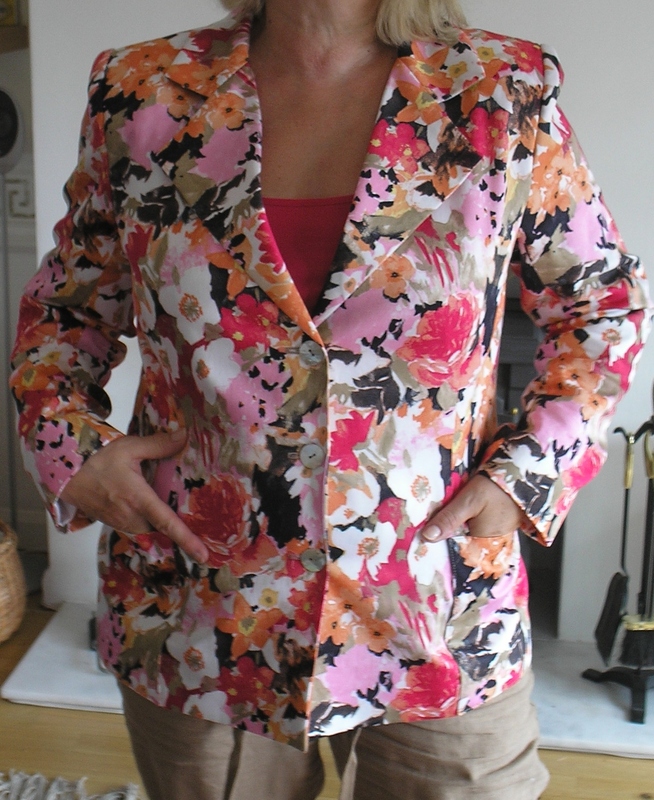 If it wasn’t a big enough pleasure seeing the fabric made into this lovely jacket she also made me a delicious lunch. Thanks Pamela!